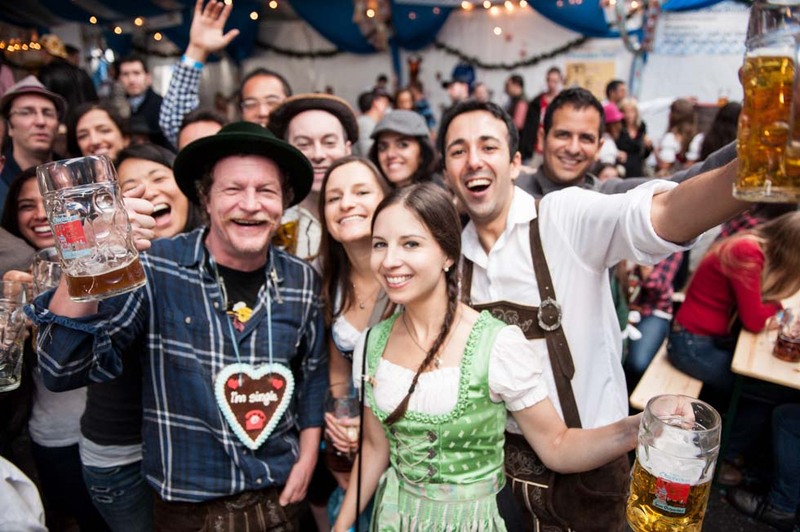 Should Your Restaurant or Bar Host an Oktoberfest Event? Home/Restaurant Marketing and Advertising/Events/Should Your Restaurant or Bar Host an Oktoberfest Event? It’s that time of year again. High-spirited diners and drinkers will be dusting off their Lederhosen for Oktoberfest celebrations. Taking place during September and October, the German revelry has become part of America’s party culture. Should your restaurant host an Oktoberfest event? The official Oktoberfest is a 16-18 day festival held yearly in Munich, Germany. The celebration got its start in 1810 and now attracts more than six million people from around the world. It usually begins in mid-September and the party rages on for over two weeks. Traditional Oktoberfest celebrations included horse races, but those became obsolete in 1960. In modern times, the focus is on the festival. 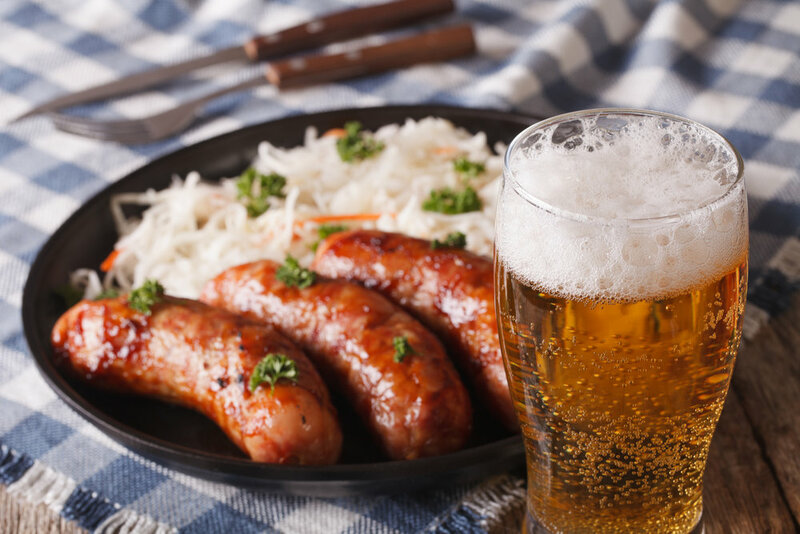 When it comes to food and drink, the centerpieces of Oktoberfest are German beer, bratwurst, and pretzels. Live music and polka dancing provide entertainment, and contests like stein holding competitions keep guests engaged. We couldn’t just let Germany have all the fun! Americans have made our own versions of Oktoberfest celebrations, taking place in the same timeframe as the original. Major cities like New York, Cincinnati, and San Francisco host their own versions of the rowdy event. 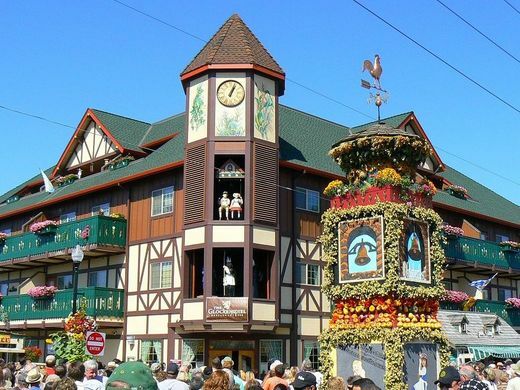 According to the Insider, some of the most authentic events in the U.S. take place in Frankenmuth, Michigan, Salt Lake City, Utah, and Fredericksburg, Texas. Some take place in large halls or open fields, while some restaurants choose to host their own events. Regardless of where it takes place, you can guarantee there will be plenty of German beer flowing and European fare being consumed. Events are great for attracting large crowds and making bigger profits. But, should your restaurant consider hosting an Oktoberfest event? We weigh in. This one is pretty obvious. We just can’t see an Italian fine dining establishment throwing an all-out German bash. But, you don’t need to be a German pub or restaurant to get in on the fun. Sports bars, casual grills, and even Irish pubs and other drinking holes can consider hosting their own versions of Oktoberfest. Zum Schneider on the East River in New York City has been putting on their own Oktoberfest event for five years. Guests are required to buy tickets for a select date within the ten day celebration period. The restaurant describes their celebration as “an unforgettable and traditional Munchen Oktoberfest experience.” There is a decorated tent, original Oktoberfest beers, and traditional food as well as music and games. Although not German, Bull McCabe’s Irish Pub in Durham, NC also throws a biergarten bash. Contrary to the sixteen day tradition, Bull McCabe’s event is only on one day, but still boasts traditional elements like beer, food, and music. 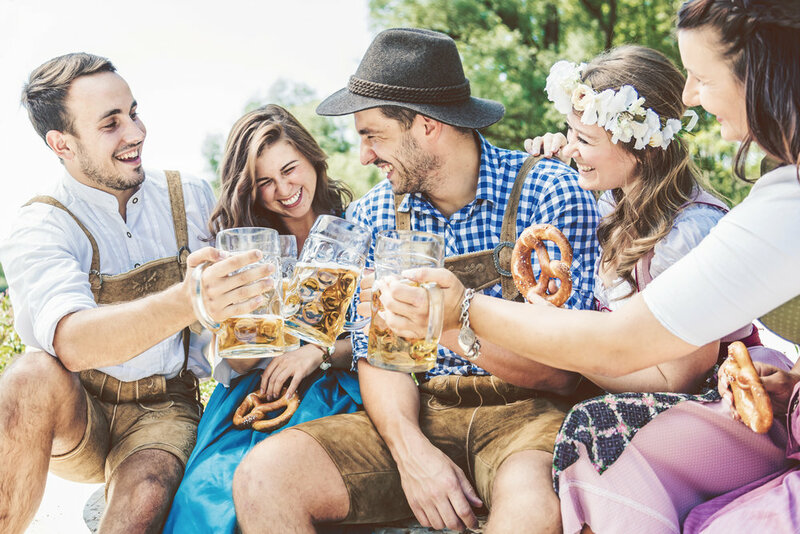 If you believe your restaurant or bar concept is capable of hosting an Oktoberfest event, you may want to consider it. It’s a smart way to draw in large crowds who are willing to purchase tickets, sometimes even just for entrance with nothing else included in the fee. From there, they will be purchasing food and drink to help get the party started. In order to make your celebration authentic, you should have the authentic German cuisine and beverages people will be looking for. Hofbrauhaus Munchen and Radeberger are a couple of the popular German brands of beer typically served. Do you already serve those brands? If not, can you get enough of those brands to keep the drinks flowing? How much will it cost you? If large pretzels, bratwurst, and schnitzel aren’t a part of your regular menu, you’ll want to consider whether or not you’ll be serving it. Having German food isn’t necessarily a requirement, but it boosts the authenticity of the event. And some die-hard Oktoberfest goers may be upset not to see their favorites on the menu. When it comes to food, you could consider bringing in external vendors to serve up the sausage and Schweinebraten. This way, you can give some authenticity to the event and continue to also serve your usual menu. Of course, you’ll have to calculate the cost of bringing in vendors and decide if it makes sense based on the profits you project to make. Delight revelers by consider the entertainment you’ll be providing. Will you bring in a live band or play traditional Oktoberfest tunes from a laptop or smartphone playlist? Weigh your options when it comes to entertainment. 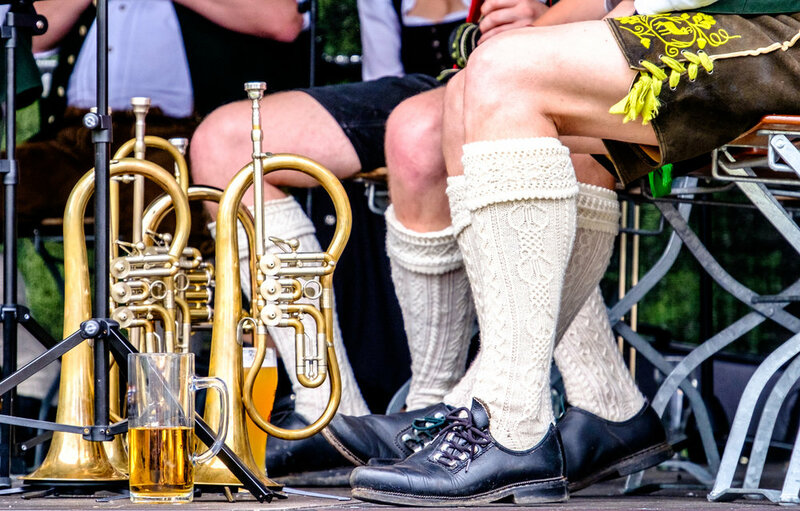 Folk music and polka dancing are reminiscent of the original Oktoberfest celebrations and can help liven up the affair. You can even incorporate games and contests. Decide whether or not you want to charge an additional fee for contest entrance and let guests know about all additional costs. Unlike a typical busy dinner time rush, Oktoberfest may require more clean-up than you’re used to. Do you have the manpower and time to ensure your restaurant or bar will be in tip-top shape for the next day of business? When it comes to transportation, you may want to team up with some local cab companies to provide rides for attendees. Uber Events also allows you to purchase ride passes for a specific event. Guests will then have access to an event-specific code that is good for a discounted or free ride. Let guests know that the option is available and encourage ride-sharing. Although you want your customers to have a great time, it’s also important for them to get home safely when the party’s over. Oktoberfest is a traditional German celebration that is steeped in history and provides a ton of fun to attendees. If your restaurant or bar concept is fitting for the event, consider hosting one of your own. Feel free to put your own spin on it and create your own traditions, but incorporate some of the authenticity that makes it one of the most popular and boisterous events of the year.